The rumors are true — SEO and your company’s growth go hand-in-hand. If it is not already, an effective SEO strategy should be right at the top of your company’s To Do list if you are looking for measurable, sustainable growth. But there’s no need to take our word for it — let’s turn our attention to the stats. 61% of marketers say that growing an organic presence is their Number 1 marketing priority. Yes, it is that important. The rules of SEO are changing all the time. It may feel as though as soon as you think you’ve got with the program, the program changes. The sheer weight of competition for your most prized keywords might be crushing your determination to even attempt to rise to the top. 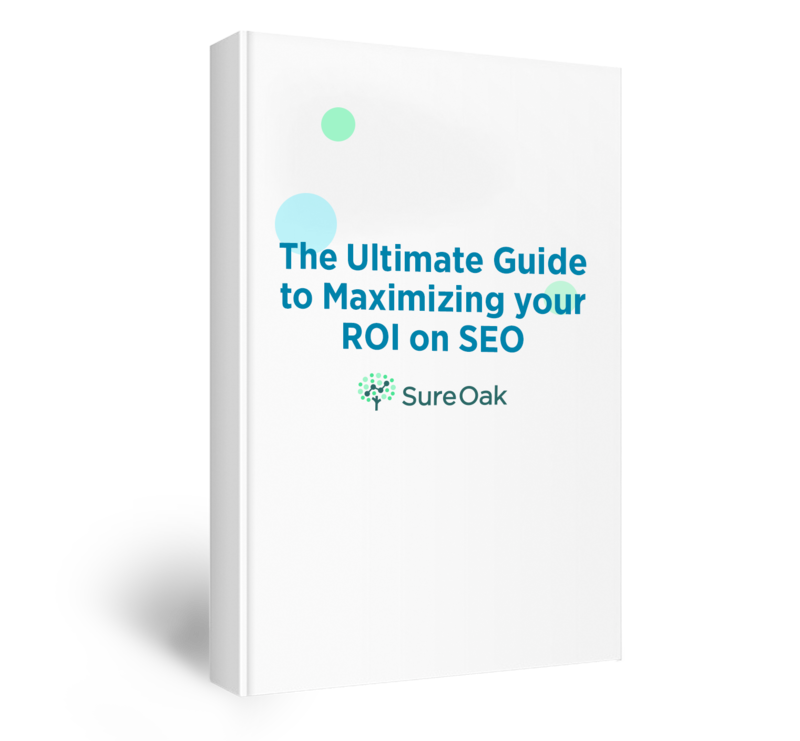 Yes, getting SEO right can be tough — so much so that you may want to throw in the towel on numerous occasions. But we’ve always found defeat rather boring, so enough of that. It’s time to wipe those tears of sweat and pain from your ducts because we’re here to share a few secrets with you that will allow you to improve your site, and fast. While we don’t want to pretend that you do not need a long-term approach to see genuine results, there are 3 things that you can do today to give your strategy a makeover and get you prepped for sustainable growth. User experience is right at the top of Google’s priority list. Think of it from their perspective. Their goal, as stated in their mission statement, “is to organize the world’s information and make it universally accessible and useful.” To do that, they have to make sure they have the best information available to respond to the queries people make on their platform. Their first responsibility is to anyone who dares to type a query in that search box. UX is their El Dorado, as it should be for anyone interested in growth and marketing. For SEO purposes, your job is to provide valuable answers to the questions people are asking that relate to your business. Not only do you have to answer those questions, but you should do so in a way that makes users want to stick around (and come back) for more answers from you. Provide content that is genuinely useful to people. Don’t just generate content with lots of keywords in it because you feel like you must. Think of your content as answering the questions they are asking. It’s a dialogue. Boost the speed of your site. Page load speed has been one of the key priorities for Google ranking for some time, simply because people will not stick around if it’s too slow. Here’s a fun fact — bounce rate increases by up to 50% if a page takes an extra 2 seconds to load. Get your page up to speed. Optimize for mobile. Your customers are going mobile. So is Google. So should you. Now you can approach your language like you do your supermarket cart — choose what’s natural. Why is this important? Simply because the way in which people search is changing. Using natural language in your SEO strategy is part of a move toward what is known as Semantic Search, that prioritizes user intent over specific keywords. While keywords are of course still vital to SEO, how you research and use them is changing. Include target question words such as “How,” “Why,” and “Where” in your keyword research. Create content in natural language. Write as if you are responding to a friend. We’ve saved one of our favourites for last. 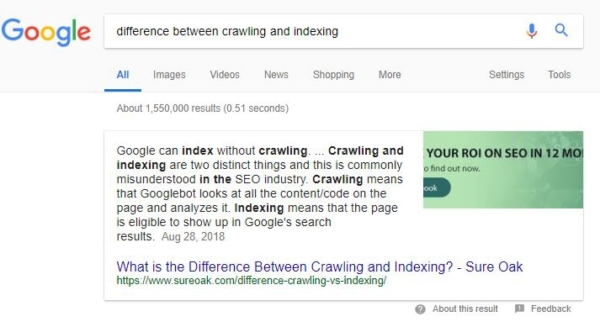 A featured snippet (or rich answer as it is sometimes referred to) is the little text box that comes up at the top of a search engine results page. It’s essentially Google giving a major thumbs up to a piece of content that it sees as the definitive answer to a query. It’s not difficult to see how this would boost both your visibility and credibility. This is not about getting to the top. It’s about getting above the top. Alright, you got us. That is indeed our content, and yes, we are showing it off like proud parents. But we like you. So we’re willing to share how we did it. We won’t lie — this is a difficult one. There is no clear literature on what the criteria are for reaching this spot. Use what’s working. Find terms you are already ranking for and bolster them. Think of a question related to your industry that people will be asking a search engine. Now make that question simpler. Now make it even simpler. Now create a response that succinctly answers the question. As with your question, use the K.I.S.S. rule with your answer — Keep It Simple, Stupid. You can go into more detail in the rest of the content piece, but the opening has to be an exact, easy-to-understand answer to the question that is being asked. At the basis of all our hacks is a simple hint — be useful. This is why we love SEO. Rather than creating advertising that spams people out of their happy space, SEO provides a marketing opportunity where you and your customers get to experience the value you bring to the world. Ready? Go forth and multiply your traffic. And if you need some help, get in touch for a free SEO strategy review. We’d love to chat.